Hair is one of the things we can change about our appearance. It gives us an opportunity to be unique and show our individualism. Changing shades or adding highlights can completely transform your look. A new ‘do can also build confidence and improve self-esteem. The hardest part is deciding which color to use on your locks. How can you narrow down your options and find a hue that is flattering and matches your personality and sense of style? Celebrities are a great source of inspiration when making decisions about your hair. Check out your favorite famous people and see what colors their strands are sporting. See how each style matches up with the look and personality of the celebrity as well as the accessories and makeup worn with it. While the average person likely doesn’t get as made up as most celebrities, it can give you an idea of which tones will best match your beauty preferences. It can also help to gather photos of the celebrity hair colors you love to bring with you when you visit a stylist. It’s much easier to show rather than describe when it comes to color. And it’s very important that your stylist understands what you are requesting. Finding a color you like is important, but so is pairing it with your skin tone. There’s a pretty broad spectrum of color when it comes to skin. Each falls into one of three categories: warm, neutral, and cool. There are a few ways you can determine your skin tone. Look at Undertones – Take a close look at your complexion. Do you notice hints of pink or olive? If so, you have a cool skin tone. If you see yellow and gold, then you have a warm skin tone. And if you see a combination of those, then you likely have a neutral skin tone. Look at Your Wrist – The wrist is another good spot to check. You should be able to see veins running close to the surface of the skin. If they appear blue or purple, then you are in the cool category. If they are green, then you most likely fall into the warm category. Look at Your Eyes – Also check your eye color. If you see flecks of gold, then you will likely be a warm skin tone. If you see greens and blues, then you are likely a cool skin tone. Once you pick a color you like, it’s time to consider shading. You may think that you want to go blonde or brunette, but have you noticed how many variations of each exist? You could choose light ash, gold, champagne, platinum, and many more blonde tones. For brunettes, there is everything from walnut and auburn to dark brown and chestnut. Narrowing down your options to a color family is part one. Now you have to choose the shade. Color charts are available online. However, most of these come from different beauty brands that give each shade a different name. 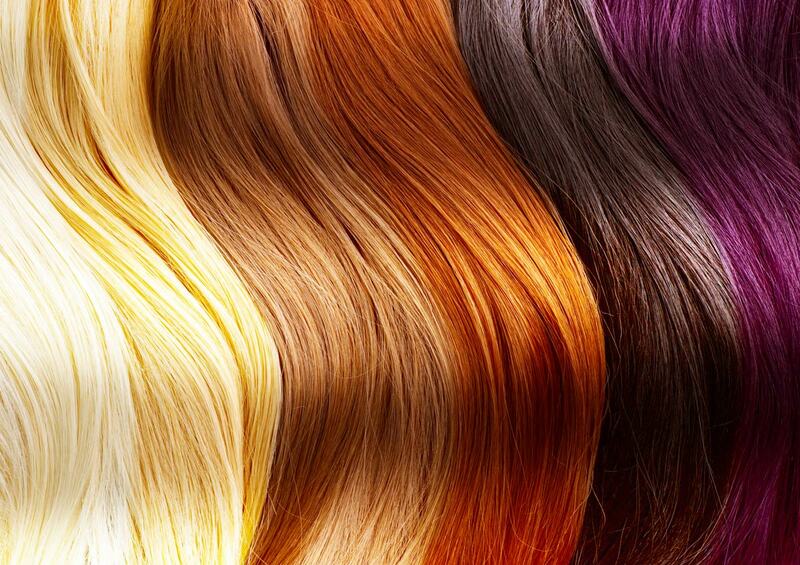 Your stylist can show you examples of the various shades that are available in the color family you want to use. They are the best source for color options because you can choose from the exact dyes your stylist will use on your hair. Natural hair tends to show multiple colors as highlights and lowlights. You can keep that look by dying your hair more than one color. Different shades or tones can be used to add dimension while enhancing natural beauty. A stylist can make recommendations to achieve this look. Whether you have chosen a shade or three you like or have no idea where to begin, professional advice can go a long way. A seasoned stylist has worked on others like you and knows how the results will turn out. They can make suggestions and help explain how the finished hue will look with whatever hairdo you choose. They can also advise you on how your natural hair color will affect the process. Contact Tiffany Taylor today to schedule a consultation and to learn more about the best color for your hair.